We’d love your help. Let us know what’s wrong with this preview of Goddess by David A. Leeming. 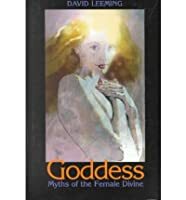 From the fertile earth mothers of the ancient world to the modern revival of interest in Wicca, or witchcraft, images and tales of the Female Divine have flourished and waned, intimidated, comforted, and inspired women and men from time immemorial. 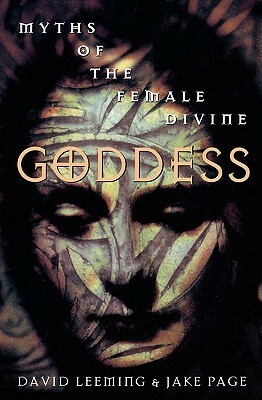 In Goddess, authors David Leeming and Jake Page gather some 75 of the most potent and meaningful of these tales in an extraord From the fertile earth mothers of the ancient world to the modern revival of interest in Wicca, or witchcraft, images and tales of the Female Divine have flourished and waned, intimidated, comforted, and inspired women and men from time immemorial. In Goddess, authors David Leeming and Jake Page gather some 75 of the most potent and meaningful of these tales in an extraordinarily rich and readable introduction to this divine figure as she has emerged from prehistory to the present. Told as a biography, we follow Goddess from her first Ice Age appearances as the all-encompassing, all-giving, and all-taking Earth, to her re-emergence as a powerful force in the myths of modern religion, psychology, and science. In tales of the Changing Woman of the Navajos and of Hera, Pandora, Eve, and Lilith, we see her traduced and sublimated by rising, and then, dominant, patriarchal cultures and civilizations, but never totally suppressed. In familiar and unfamiliar myths, Goddess comes alive, pulsing with her own energy, irrepressible behind her many cultural masks. She can be the Universe itself, the source of all being, the holy Virgin, the Earth-Mother nurturer, the madly hysterical destroyer, the femme fatale, or the consort or mother of God. She is presented here not as myth, but as a true archetype, a potential being who exists in all of us, a force who long preceded her male counterpart as an appropriate metaphor for the Great Mystery of existence. First, and fastest, dnf of the year. Extremely boring and super repetitive. This review has been hidden because it contains spoilers. To view it, click here. The book was alright. After awhile, it felt redundant giving both a summary of the myth alongside an "interpretation"- which was really just another summary of the myth. As someone who has spent a good deal of college credits studying mythology, I understood most of the references but for a reader trying to learn on their own, the book left many loose ends. I liked the idea of the ending to the book but it felt as if the authors became as bored as I was reading it. It's also hard to take a women The book was alright. After awhile, it felt redundant giving both a summary of the myth alongside an "interpretation"- which was really just another summary of the myth. As someone who has spent a good deal of college credits studying mythology, I understood most of the references but for a reader trying to learn on their own, the book left many loose ends. I liked the idea of the ending to the book but it felt as if the authors became as bored as I was reading it. It's also hard to take a women's studies book seriously when it's written by male authors. Magical, mystical, thought-provoking. I love the idea of a biography of an archetype. I will acknowledge that some of the myths fell a bit flat for me--there's such a wealth of lush, rich goddess stories to draw from and I craved a deeper understanding of why the authors selected the stories that they did. I wanted more! You can definitely feel the influences of Jung and Campbell on this one. Informative... with a side of a hopeful matriarchal return to society. I hated this book. Very rarely do I fail to finish a book, but this was one of those times. The retelling of thy myths were utterly flat, they no beauty in them when told, no soul, no lyrics in them. Myths started as stories told and sung around fires in the dark as the night pressed in. They are full of hearts pounding, of comfort, strength, wonder, blood, and violence. Myths are passions of a people. Instead, what you have is a poorly worded boring recitation. To top that off the descriptions I hated this book. Very rarely do I fail to finish a book, but this was one of those times. The retelling of thy myths were utterly flat, they no beauty in them when told, no soul, no lyrics in them. Myths started as stories told and sung around fires in the dark as the night pressed in. They are full of hearts pounding, of comfort, strength, wonder, blood, and violence. Myths are passions of a people. Instead, what you have is a poorly worded boring recitation. To top that off the descriptions of what the myths meant were completely understated. Perhaps they wanted to keep the book small; you could easily write a book on any one myth. Still, I felt that the explanations were oversimplified, and didn’t do the complexities any justice. Perhaps I’m just disappointed because I was hoping for something so much more, because I really felt that this book failed to deliver. There is so much to be said about the cultural shifts that saw the dethronement of the goddess in favor of a male god, and then from her status as his wife, to nothing at all. I really felt this *pamphlet* failed to explore that. I think it would be a good book for an introduction into the study, but frankly, there are better books out there. Los autores de este pequeño libro nos proponen un repaso por la historia del concepto de la divinidad entendida como mujer a lo largo de la historia. Para ello comienzan con la teoria de la Tealogía, en un sistema prehistórico idilico que ya ha sido largamente planteado en la literatura pagana más variada. El viaje, que sigue a través de las diversas mitologías politeistas de distintos lugares del mundo y que están clasificados por una suerte de "momento cultural" en lugar de por un momento hist Los autores de este pequeño libro nos proponen un repaso por la historia del concepto de la divinidad entendida como mujer a lo largo de la historia. Para ello comienzan con la teoria de la Tealogía, en un sistema prehistórico idilico que ya ha sido largamente planteado en la literatura pagana más variada. El viaje, que sigue a través de las diversas mitologías politeistas de distintos lugares del mundo y que están clasificados por una suerte de "momento cultural" en lugar de por un momento histórico concreto, llega a atravesar las tradiciones monoteistas más conocidas en occidente para encontrar un recodo de culto a la feminidad en él y para terminar desembocando en los diversos movimientos de resurgimiento de la conciencia de la feminidad; desde el neopaganismo y la wicca hasta las nuevas concepciones folosoficas y pseudo-cintíficas como la "hipótesis Gaia". This book is an overview of the various goddess myths found throughout the world. The writing style is rather uneven; at times I felt like I was reading entries from an encyclopedia, other times it was like campfire-style storytelling. Overall, this book makes for a good introduction to some of the lesser-known mythologies of our past. I enjoyed this book immensly. Eye opening and belief shattering. Profoundly related to works by Marija Gimbutas, Joseph Cambell, C.G. Jung & co, concerning the evolution of the Feminine Archetype from prehistory to modern history. Great general knowledge. A consise history of the Goddess in all forms.